"The best way to the to increase the quality of presentation." I really glad that I can create a nice design myself and I don't need to hire a designer for it. The big ability of choice of fonts, and image filters. Easily to make my message are simple and keep formatting clear and consistent. Time to time I have a delay in videos. I was worry that audience will complain about it but everything went smoothly. Also, this is happened for a short time, not at full presentation. The Haiku Deck is the powerful creating system. With this solution, you will have the great presentation. Will receive the quicker way of all working process. Now my working team and I receive a powerful help with creating an amazing design which always will look wonderful. We have the more effective and fast way of making a presentation and have a chance to share with it. "Haiku Deck will focus on your work." Wonderful tool helping me every day. I'm more concentrate on a key to my creative work. With a lot of kind of templates, I'm working on design faster and better. Doesn't have a problem with an audience. Also, I don't have any bad issue with videos.I like that my people who work for me they are more understand it. So I have in my notes more pluses than a negative minus. Very simple step to download photos from social media.Very nice way to share with network or devices which you use. And also all your presentation will look much better. At work, I feel so free as I know that Haiku Deck gives a strong and big hand of help. Now we can do create wonderful presentations and share them. And save money because of no need to call for a designer. "A first use of Haiku deck"
The online presentation software provides a creative manner to create image-based presentations. It is easy to use and complete a project once you get started (must have an idea on hat you are attempting to accomplish). Additional help in the form of a user manual is available. Templates are available to help the design process. If you are wanting to enter text in bullet form, press the Enter key will not create an additional line to type on. No ability to sub- or superscript text. I am not sure how to state this issue, but making a change in the text layout and then returning to the original layout results in the text being changed (missing a letter on the end of a bullet and is now on the end of another bullet)- this required several times of corrections to finally get the text correctly spelled. If you are using your own images and wanting the text to be in a specific location on the slide, editing of images will take some time to get the image the image so that it will be of the desired size and location. If you are looking for a creative method of designing and presenting information, then Haiku Deck could fit the role. There are some glitches that will need to be worked around, but it appears to be a good way of getting a project completed. This software allows for the development of creative end products that can if desired, limit the amount of text on a given slide. "To choose the right way at your work." I'm working every day. And I'm glad that I can work with good tools. My work on creating a design become more easy and interesting. I can say easily that I have more effective work now. Very good software which is easy to understand. Program is very smart and fast. The very good solution for videos. Perfect and simple way to introduce. The software is really very nice and powerful. Has great tools. You can easily get out all information from media. You will create amazing presentations. The best what we can do now. It is a great way to the presentation. We can make it more wonderful. Powerful help for all company. We like very much to work with it. "Amazing tool that saves you hours of time! " Haiku deck is simple and intuitive to use. I put together a board deck in a quarter of the time it usually takes with PowerPoint! Also love the imagery and access to great stock photos to improve the presentation. For my purposes there is nothing I dislike about haiku deck. What’s amazing is it reduced the time to make an incredible deck! I created a beautiful engaging presentation in about 30 mins whereas before it took me about 3-4 hours with PowerPoint. I’ve used other tools that are too clunky and hard to use. Haiku deck makes it fast and allows me to download an editable ppt to even make additional changes. "Awesome business tool for sharing your message." I have been using Haiku for a while to create content for my business. I find it much, much easier to create a well crafted message using Haiku than I ever could with something like powerpoint. It is super easy to get started. I love the fact that I don't have to worry about the royalties on the images. The best bit is that the act of creating the deck and selecting the pictures often makes it easier to be creative rather than harder. I do not have a support contract as such, but I have found the team to be very, very, very helpful on the occassions when I have needed help. I had a reall emergency this week and thought that I had lost lots of work and they were able to help me. In short it is a brilliant tool. The support service is great. It is easy to use and affordable. What is not to like? I would like to see more European images. Sometimes it feels like there is a lot of American stuff. If this happens I try to use one of my own pictures. I am using Haiku to craft and publish my business message and to create content to share with potential customers. No fuss, simple MVP of PowerPoint with just the right features that someone like me needs. I especially like the feature that shows up Creative Commons pics contextual to the text. Handling of pictures by links or uploading them is not so great. The photos get cropped or sometimes rotated. Would be nice to have better control on photos. I haven't used for business problem. I am active on speaker circuit (30+ talks a year) and like a simple tool that allow me to quickly put together some cool presentation without worrying much about the content. However, thanks to HaikyDeck, my decks are now more crisp and concise, and look stunning. Also, by just having a few key questions, I am able to focus on story telling during the session rather than focussing on writing more text on the deck as in the past. "Great tool for elementary/intervention/esl/special ed"
I used Haiku Deck for a QR code poetry project with 3rd graders on iPads. The interface is straight forward and it helps younger students understand how to navigate/choose options in a software program. Since I have used it, they have expanded their choices of photos from their gallery. You can also upload your own photo. The students enjoyed choosing a visual to match their content and that they could view their deck online via a laptop to show others. I have not specifically used it for intervention or special ed, but I think that this would be a good program for these areas. I have used it for ESL. Having students practice sentence, grammar, vocabulary by creating a deck are just a few ideas. The key is to use mutliple times with students, so they become comfortable and confident with the the tool. When I used it, Haiku Deck was new, so the interface was a bit buggy when students updated and saved content at times. Some students had to do their deck over again, since it did not save their changes. Not sure if this is still an issue anymore. Education is a great area for this product. Businesses have many options, but I think if you had to put together a presentation quickly, Haiku Deck has style and design built in that can bring your message across. This product is good for creating short, impactful presentations, teaching students software that has common functions found in many other programs, use for practice of concepts, vocabulary, ESL. Having a saved gallery students can refer to as well is nice. "Wonderful tool for teaching college presenting"
I love that this tool forces you to focus on the outline of a presentation (which makes for better presenting!) and also alleviates the need for great design skills (it does it for you!). When teaching College Success 101 (a freshman study skills and career exploration class) this was one of my go-to assignments for a presentation. I know that if students can master presenting using Haiku Deck, that they will have a strong foundation for future classes. There is a bit of a learning curve, and until recently it was hard to give more technical presentations. The tool has added bullets, graphs, and other tools to allow for more details to be illustrated. It can be frustrating for students who are new to technology, or who do not have a reliable internet/computer access to fully experience the benefits of the tool. I am solving the "problem" of integrating technology into a college course in a way that my students will continue to use it in a meaningful way into the future. I also use this to create my own teaching presentations- it helps me organize my material, and present in a very clear and visual way that connects to my students. "A superb tool for visual storytellers, but with limitations"
With its built-in keyword-based photo search, Haiku Deck makes it easy to find relevant imagery to support a visual narrative. Its user interface is more approachable than for most software of this type, and it helps you rapidly assemble elegant, aesthetically pleasing slides. It's not going to turn anyone into a graphics maestro, but its tasteful, restrained templates make you less likely to commit visual faux pas. If you're tired of wrestling with feature-laden presentation software, give Haiku Deck a try. You may be surprised at how quickly you can turn out a good-looking slide deck. Options for onscreen text placement are limited, perhaps because in keeping with presentation best practices, Haiku Deck discourages you from creating text-heavy slides. Typographic controls are nonexistent, so forget about kerning, or text-on-a-path. And if for some reason you're hankering to include a fancy slide transition or animation build, this is not the tool to use. If you've got a good eye for photographs and are comfortable with brevity, mock up your slides in Haiku Deck before diving into your usual presentation software. Don't make your audience read text-heavy slides, because they can't do that and listen to you speak at the same time. The company I currently work for develops software used to manage compliance and operational risk. I used Haiku Deck to present a business case internally for our account teams, to help my colleagues understand the challenges a client of ours was facing. I wanted to use memorable, appropriate images to amplify and support my key messages. I received generally positive feedback on my presentation. It is a minimalistic presentation design platform that allows a person to get ideas into a presentation using images to enhance a message. Easy to get started, setup, and design presentations. There are a variety of slide types that allows the designer to match content with intent. Images are prominent aspect. Words that are placed on a slide are used as keyword search ideas to pull in images. Slide notes can be added. Finally, there are a variety of ways to share the presentation. If you are used to PowerPoint or Keynote, a presenter cannot add animations to slides. I wish it would embed video and audio but does not. Rather, a presenter would have to have a separate tab open and then play audio or video as needed. If this is your first time using Haikudeck, it is important not to think of it as PowerPoint or Keynote. It communicates ideas in powerful ways using minimalistic design and word use. Do not force it be like other presentation systems. Take time to place your ideas in different from slide to slide to create interest. It is a great platform to design presentations. Communicating my ideas about education to those interested. Because the presentation is public on Haikudeck, and because I place in other places on the Web (my website, slideshare, Twitter) teachers are locating and looking at my presentations. Haiku Deck provides an easy to use iPad app which has several professional looking templates. I love the library of free high-quality images and how simple the user interface is. I can export my slides in a variety of ways and edit them easily in the app. It streamlines presentations by focusing on clean images and fonts without encouraging text-heavy slides. Once you export a deck to PowerPoint, slides cannot be edited easily. Background images become static. You can only add to the slide from PowerPoint. I'd like to see more versatility between the softwares. Haiku Deck offers constant updates and is always adding templates to use for free. You can consider paid options but certainly get a quality product out of the free version. If you're creating on the iPad, this is a really easy app that you're likely to love. Haiku Deck allows me to create streamlined, focused slide presentations for my FLVS students. I import them into Blackboard Collaborate during live lessons. Student feedback shows me they appreciate slides that are more image than text based. It's easy to use and students can have access to all your cirriculum, documents, links, video, ect. As a dance teacher, this is a great tool where I can upload practice videos and music I have via garageband. There are small steps that I sometimes forget, like making the pages active. I would recommend learning how to navigate and maximize the use of Haiku Deck with someone familiar with it. There is a lot that can be done with this software. Student accessibility is much easier (for those who have access to the internet). 1. Less is more people! 2. 6 words or less on each slide, gets to the point, shows it in a beautiful photo versus lots of words and boring presentations. Don't think you need to create from scratch, take others ideas and revamp them. Import your existing presentation into Haiku deck and improve it by eliminating too many words and use a picture to say a 1000 words. 4. Feedback from clients is that it is the first presentation they have seen that they fully understand and love! "Haiku Deck is my go-to for developing presentations"
I've been using Haiku Deck since they first debuted. I love how clean looking their decks. The interface is super easy to use. I like being able to search for pictures within the app. The image selection is very good. I love that the offer different slide layouts and even simple charts. I can make a Haiku Deck from start to finish in less than a hour. PowerPoint I would do the same slide deck in PowerPoint in several hours. Sometimes the images size weirdly and I wish I had more control over how the text blocks looked. The size and even the color. I work with speakers and entrepreneur on develop the content of their presentations. We get inside their audience's heads, figure out what they need, and give the audience a way to spread their ideas. The results are winning multi-million dollar pitches, successful speaking engagements in front of world leaders, and raised 3 times the amount of money for their foundations. "Haiku Deck Empowers the Teacher and the Student"
I like how Haiku Deck uses visuals to capture the audiences attention. It allows the presenter to offer, "silent questioning," throughout the presentation or lesson. At times I wish it had a more appealing transition feature, in terms of slides and the ability to embed media. If you use Power Point, you must try Haiku Deck. The format also forces the user to cut back on words, providing the "less is more," to any presentation. In the education field "PBL" or project based learning or problem based learning is the current buzz word. In other words, research points to empowering students and coaching them to question and then work collaboratively to answer these questions. Haiku Deck allows the teacher to set up a PBL lesson or question and then have the students work together through prompts. I've used HD to improve communication with stakeholders in the school district and allow them visual of my classroom traditional pedagogy and formats have not used. "I'm in LOVE with Haiku Deck"
I discovered Haiku Deck when it was first launched and was immediately drawn to it's incredible visual appeal. The selection of creative and beautiful images is great and the simplicity of the app makes it a breeze to put together incredible slide decks for presentations and marketing decks. Every time I have presented using a Haiku Deck, I get loads of compliments. Say farewell to sleepy and stale PowerPoint slides and HELLO to fabulous Haiku Decks! Don't wait another minute! Start making an impression. I own a digital marketing agency and we are all about the visual! We get compliments on every Haiku Deck presentation we use. When you are speaking to an audience of 2,000 people you want your slide deck to stand out and WOW, not put people to sleep. While it does create awesome slides it lacks the foundation for anything other than that. What I mean by this is that I couldn't create a 15 slide presentation because it doesn't have the editing features that Powerpoint, Google Slides and Prezi have. That's why this is a great product for cover slides and things of that nature but nothing more. Use Haiku Deck sparingly while implementing it with other presentation software. I'm trying to sold an issue with my companies decks and how to make then more visually appealing and I've noticed that Haiku Deck helps give me the tools to make a great first impression. "Great for keynotes and general presentations"
Would like to see more options for graphs. Difficult for some presentations- like a statistics/research methods course. Great for conference presentations; or keynote presentations- Have had great success using this for keynote presentations. I've found its difficult for content-heavy courses I teach- for example Research and Evaluation Methods- sometimes I need more text than what is allowed. I use this mostly for conference presentations. "Some problems, but great tool overall!" I like the amount of images that you can use in each of your messages. The design is great and there are a lot of features that Haiku Deck offers. I like how you can upload draft and outlines and you get recommendations from the product itself. It guides you in making your presentations and that is a very effective tool especially when you are not sure what direction you want to go in. There's not much to dislike. Just some little sizing problems and it is a little more complicated than other presentation software. I am creating presentations for my reports and it allows my project leads to look at the presentation right through this product. Easy to share! Haiku Deck is probably the most advanced presentation tool I've used thus far. What I like best about Haiku Deck is the fact that I just have to upload my outline and not an entire presentation. The AI then chooses a layout that best suits what my outline has entailed. Everything from images to fonts, it's all done for me. Another great tool of Haiku Deck is it can transform my old decks into more visually appealing ones right away without much added work needed. The ability to do all of this from my tablet is just amazing. At $30 dollars a year this tool is a great buy. The 5 themes that it allows me to use are pretty dynamic for me to use for any type of presentation. I love the fact that I can also include photos from Facebook, Instagram or Flickr. The only issue I have is that even though the goal of this app is to make things simplistic and easy, it does limit what I can do and what I can make my presentation to look like. You are pretty much giving up control as to what your presentation should look like. Also even though you can export your Haiku Deck presentations in PowerPoint format by emailing it to yourself, the images will be scaled down and the text will be flattened into the image. I'm creating professional decks for my company presentations. "A properly named product. " The name says it all. Haiku deck is truely poetic. I had to create a presentation on my iPad, and the process couldn't have been simpler. From start to finish, this software deserves to be widely known; and used across a plethora of fields, by countless users, for any purpose. Well, I'm not solving any business problems, but the benefits of this software will save your hair. If you decide to use any other presentation software, especially on a tablet, you will tear out tour hair in frustration. "Innovative yet simple platform, easy for beginners." It is simple and easy to use. It doesn't have countless buttons to confuse you. you can search images right on this website so you don't have to wonder looking for one. It definitely doesn't have as many 'flexible' features as others do where you can kind of produce your own unique slide, just the way you have them imagined in your head. doing presentations every week in front of professors and colleagues. This platform is very easy and simple, yet innovative way to create my presentation. It's ease of use and the user interface is amazing. Many options available for smart arts and 3-D graphics. Many options for page layout as well. Sometimes becomes difficult to figure out which option is which. Otherwise a great product. Should have more color options and 3-D graphics. Making presentations of our mergers and acquisition scheduled in a couple of months. I'd try Prezi and slides. Presenting information to employees and future employees. "Stunning presentations if you have incredible photos!" Variety of themes available to customize your presentation. Sometimes I found it hard to embed into my website. But this is probably my errors, not Haiku Deck. If you have time to play with it-- the possibilities are endless. I mostly have used it to entice... with great visuals! "Fun, efficient, lots of extra benefits." HaikuDeck allows you to make a high-quality presentation done quickly. A similar project in Powerpoint could turn into far more complicated and drawn out thing. I would like more flexibility in customizing photos within the templates. It's a great, simple professional product that won't waste your time and effort. It helps me save time, simplify my content and share it across social media very easily. "My son and I enjoyed Haiku Deck." It's ease of use. So easy to use that my 7-year-old has enjoyed it as well. I would like more images that are free. More choice in images. I would highly recommend to educators and homeschoolers. We use Haiku Deck for homeschool purposes. 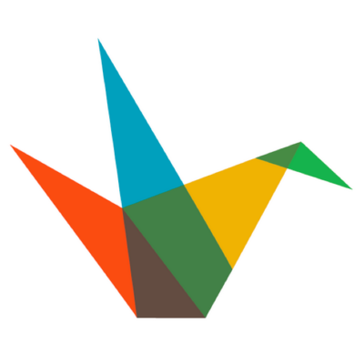 * We monitor all Haiku Deck reviews to prevent fraudulent reviews and keep review quality high. We do not post reviews by company employees or direct competitors. Validated reviews require the user to submit a screenshot of the product containing their user ID, in order to verify a user is an actual user of the product. Hi there! Are you looking to implement a solution like Haiku Deck?